This week’s weather brought record-breaking low temperatures to our area and despite my constant yearning for warmer weather it looks like we are still several weeks (or months) away from warmer weather. Colder temperatures are a time when coats, boots, hats, scarves, gloves and more are littering our homes. 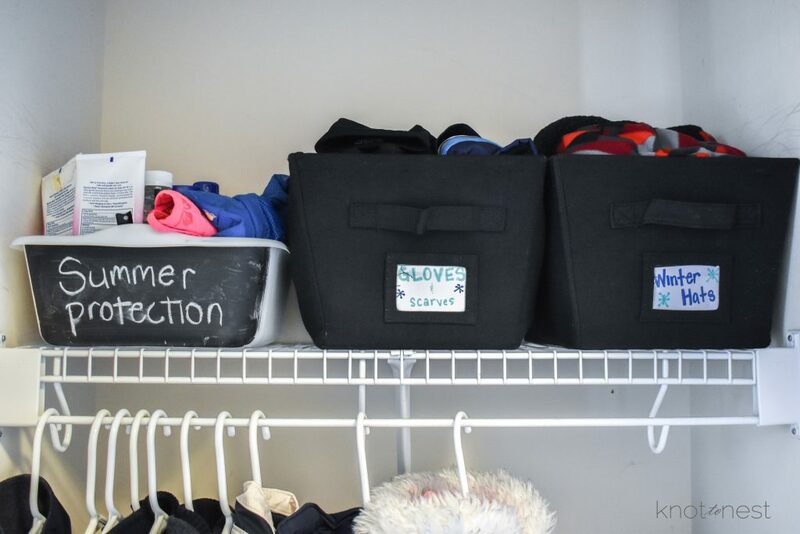 Without a system in place for storing seasonal gear, you might find yourself digging through the couch cushions looking for your child’s missing mitten. Living in Indiana (or really the Midwest) means that while we have the seasons, it isn’t always guarenteed each season will stay in its lane. Around these parts, it is not unheard of to have snow and cold temps well into May or to have a sunny 70+ degree day in December. 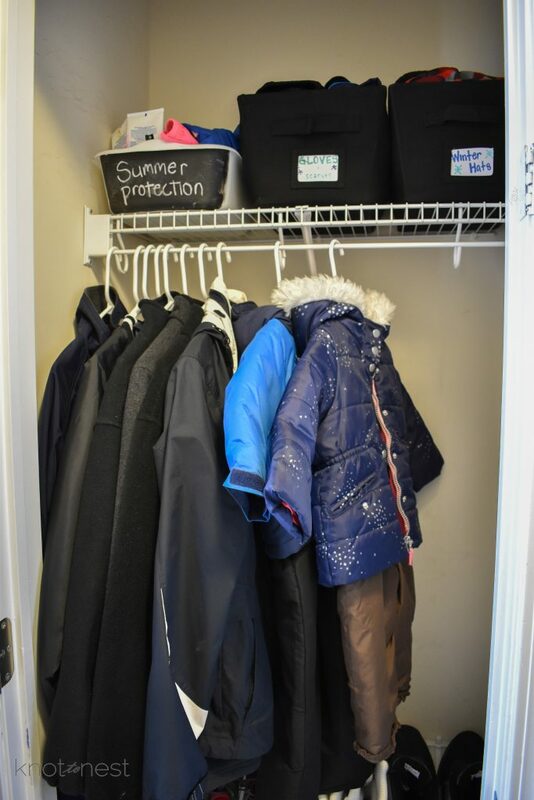 With the uncertainty of our weather, I like to keep our warm and cold season gear stored in way that makes it quickly accessible and easy to put away. 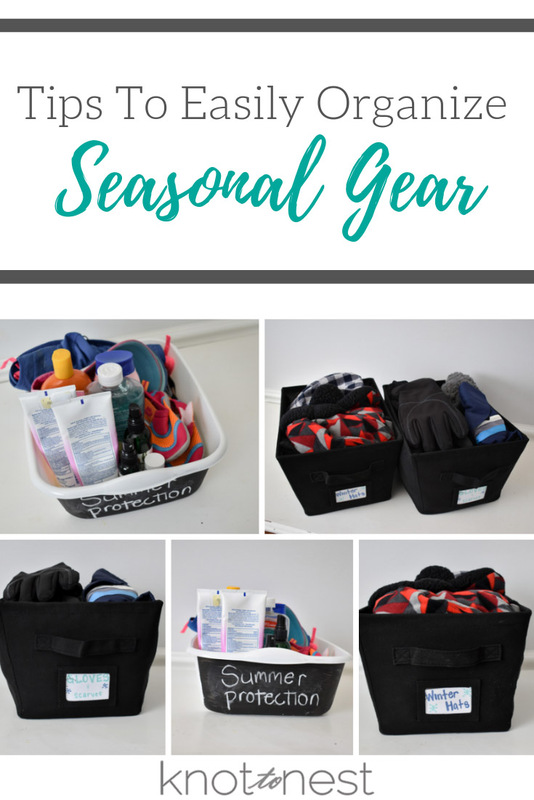 Here are some tips on how I manage seasonal gear around our home. 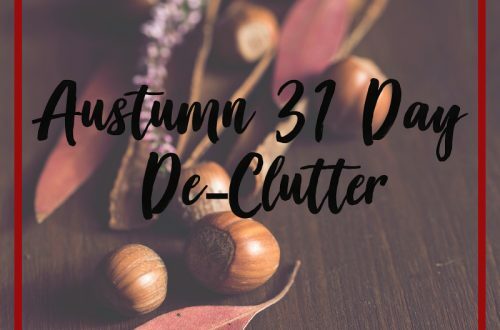 The biggest take away I hope every reader I have gets is that home organization should make your life easier. 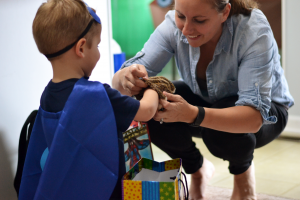 We, as moms, have enough on our plate already so we don’t have time to add a complicated organizational process to our day. In order to avoid a complicated hunt for snow boots, sunscreen, or gloves, I recommend dedicating an easily accessible area to storing your seasonal gear. In our home, I have dedicated a closet near our garage to housing all our seasonal gear. Snow suits, sunscreen, hats, and mittens… it can all be found there. Having all of the gear in one place means I am not running around trying to remember where things are or climbing tall shelves to pull down a box of coats. 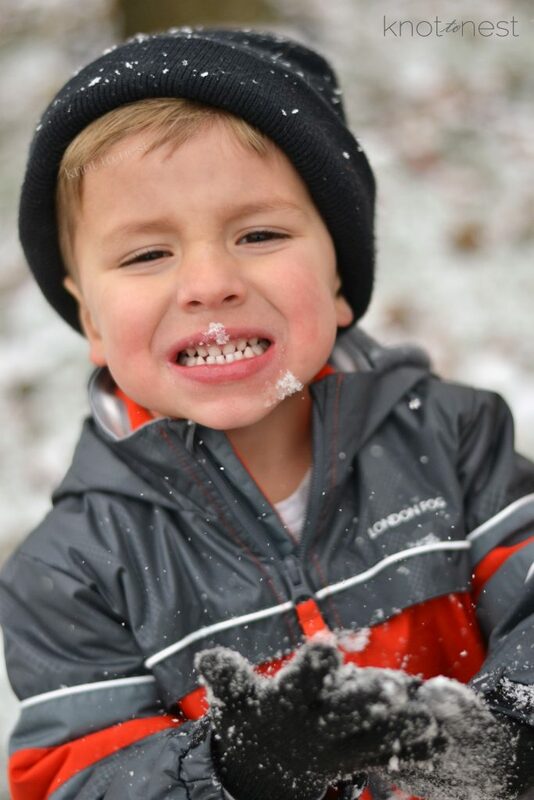 With winter comes many, many pieces of additional clothing and the number of pieces only grows as your family grows. In order to keep things together and to prevent future stress, I recommend storing like-sized pieces together. 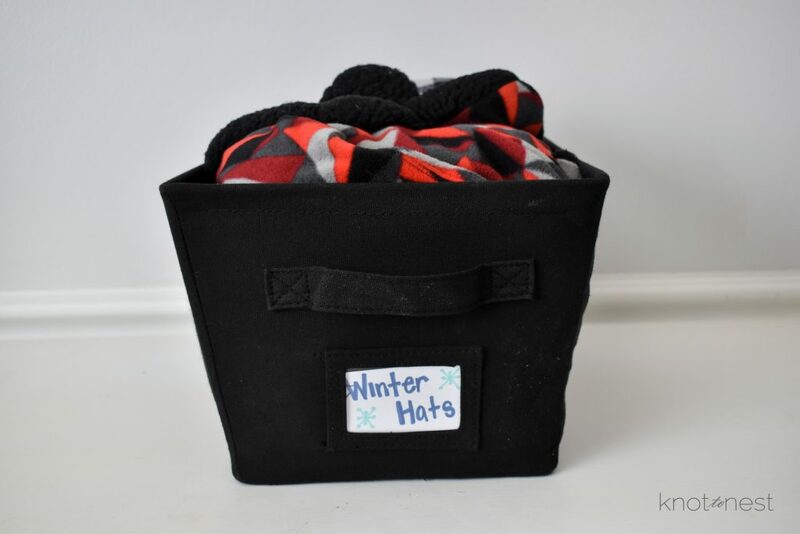 For instance fold or hang your kiddos snow pants WITH their heavy coats. This will keep you from wondering where your son’s snow pants went. I can’t stress enough the value of keeping everything in one dedicated place. While this may seem like a no-brainer for winter gear, I also recommend keeping cool weather jackets in the same closet or space. By keeping all outdoor wear in one place, you (and your family) will always know where it can be found. Remember the goal here is to save your sanity and time. 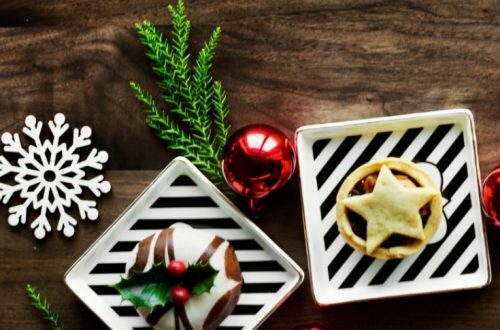 Keeping track of the little seasonal needs is probably the most frustrating part of prepping our family for the outdoors. For winter we have any combination of gloves, mittens, headgear and scarves. 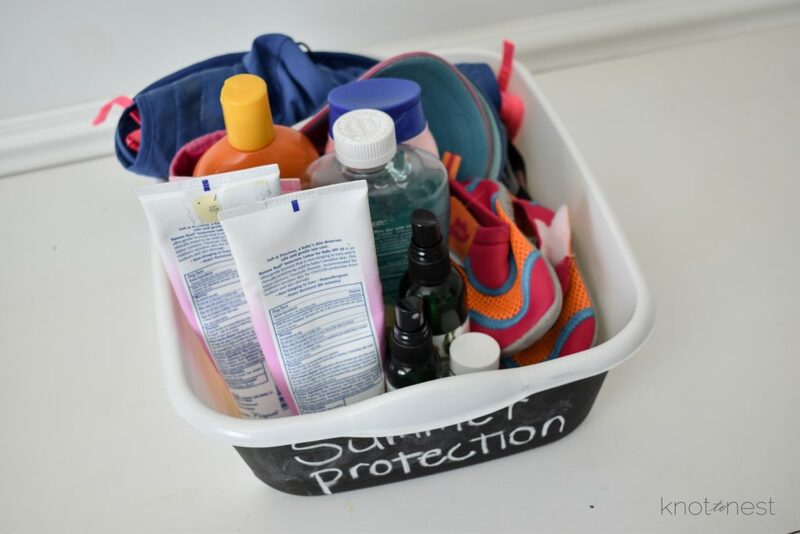 And for summer we sunscreen, hats, water shoes and bug spray. To keep things organized I like to use bins to house like-items. For this project I used what I had one hand to keep the project affordable. Here is a glimpse at my seasonal bins. 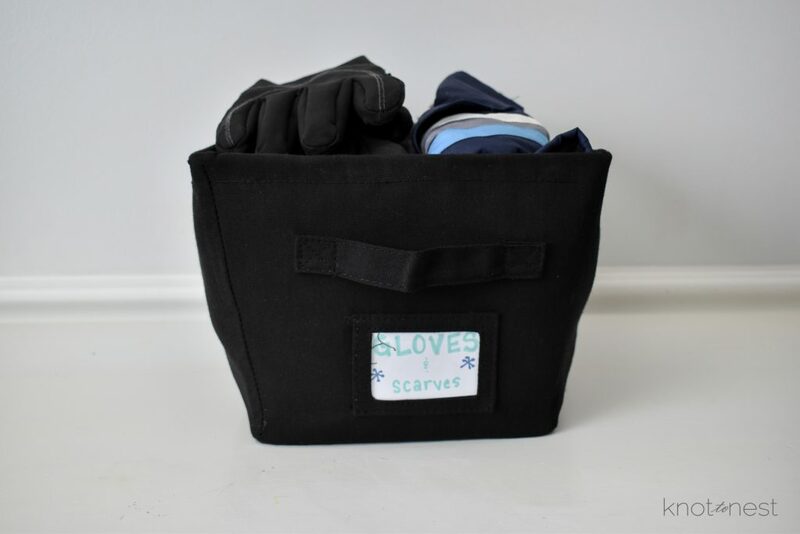 Bin one includes gloves, mittens, and scarves. I like to roll the scarves and pair up the mittens/gloves to make find a matching set easy. Bin two includes all forms of headwear from headbands, to hats to full on ski-masks. If you follow me on Instagram you have seen our kiddo’s shoe basket. 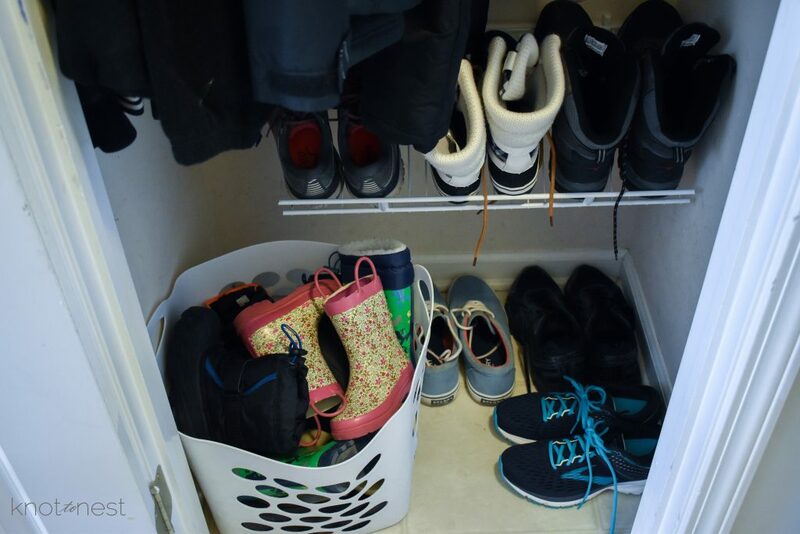 In the closet, I like to keep all of our kiddo’s shoes and so this includes everything from sandals to snow boots (except the sleeker water shoes). At 2 and 4 both of my kiddos know where to find their shoes and where to return them at the end of the day. In this space the hubs and I keep our snow boots, running shoes, and other non-dress footwear. Our nicer footwear is kept in our closet upstairs as it isn’t worn as often. 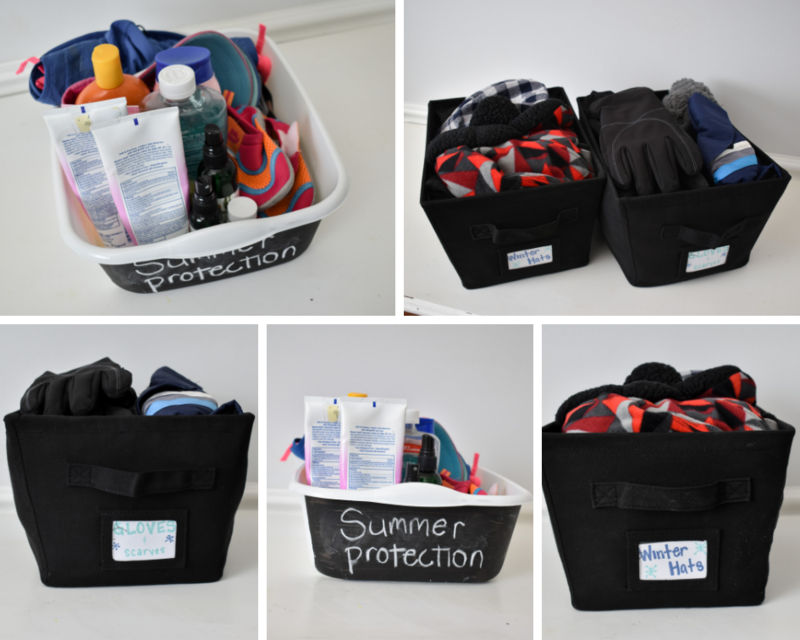 If you are over looking for lost mittens and sunscreen, I challenge you to tackle your gear this week! A little bit of time now can save you time later! When your finished email me or share your results below! Happy organizing!